On Saturday nearly all Australian networks will offer blanket coverage of the Royal Wedding from St George’s Chapel in the grounds of Windsor Castle. The Ceremony itself begins at 9pm AEST but coverage will ramp up across the day, largely from 4pm on Seven, joined progressively by Nine, ABC & SBS. Pay TV coverage will feature on UKTV, CNN, SKY News, E! and comedic commentary on Comedy / FOX8. 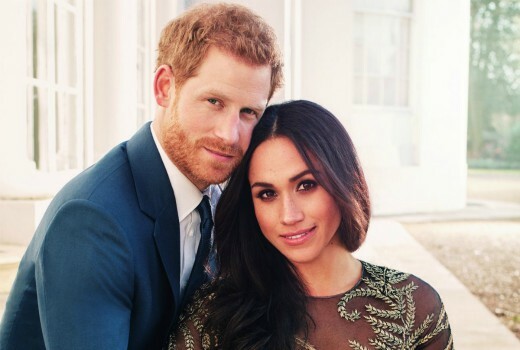 Senior correspondents Melissa Doyle and Michael Usher will anchor Seven News live special coverage of the Royal Wedding on Seven and 7PLUS on Saturday 19 May from a purpose-built studio overlooking Windsor Castle. They’ll cross live to Europe Bureau Chief Hugh Whitfeld and Europe Correspondent Laurel Irving during festivities at Windsor Castle and nearby London. US Correspondent Ashlee Mullany will be live from Meghan’s old stomping ground in Los Angeles and our team of reporters across Australia will be live from Royal Wedding viewing parties. Seven News has assembled the finest line-up of Royal commentators and insiders. Joining Melissa and Michael on the day will be; acclaimed BBC broadcaster and Royal expert Angela Rippon CBE. A familiar face and voice in British broadcasting for more than 50 years, Angela has covered every aspect of the Royal Family going back decades, including commentary of the Royal Weddings of Charles and Diana and William and Catherine for both British and US broadcasters; Veteran Royal Editor and commentator Tim Ewart; Royal insider and commentator Victoria Arbiter, who grew up with the Royal Family at Kensington Palace; Royalbiographer and historian Hugo Vickers; Sunrise Royal Editor Rob Jobson; with contributions from Royal photographer Arthur Edwards, historian Susannah Lipscomb and Royal socialite Kathy Lette. Committed to bringing viewers the most detailed, in-depth and exciting coverage of the Royal Wedding, Seven News will broadcast every remarkable moment, backed by the exclusive resources of British broadcast news affiliate ITN, critically-acclaimed for its top-rating coverage of the Royal Wedding of the Duke and Duchess of Cambridge. In the week leading up to the event, Seven will also air ‘Invitation to a Royal Wedding’. The prestige documentary on the subject matter comes from Oxford Films, who produced the top-rating ‘Diana, Our Mother: Her Life and Legacy’ featuring rare interviews with Prince William and Harry. Do not miss a moment as Seven counts down to the most highly-anticipated wedding of the year. Tune in to Sunrise Live in London from 5.30am Monday 14 May for the Countdown to the Royal Wedding. Then join Seven News on Saturday 19 May for the most spectacular coverage of the Royal Wedding. Live on Seven and stream it on 7PLUS. Live around Australia on Saturday 19 May from 7.30pm AEST on ABC TV, simulcast live on ABC NEWS and live streamed on ABC iview. The ABC royally invites you to share in the pomp and pageantry of the Royal Wedding: Prince Harry and Meghan Markle, live from London on Saturday 19 May. 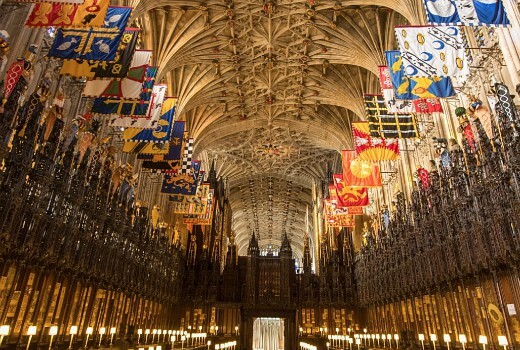 Join your hosts, Annabel Crabb and Jeremy Fernandez, for this momentous occasion as they take you to St George’s Chapel, Windsor Castle, for the wedding of the year. Jeremy and Annabel will be joined by former BBC Royal Correspondent Jennie Bond. ABC correspondents Lisa Millar and James Glenday will report live from inside the walls of Windsor Castle and speak to the crowds along the procession route. Royal Wedding coverage begins with a trip down memory lane, as Annabel reminds us of the love story of Prince Harry and Meghan Markle; Jeremy takes us back in time to explore some royal weddings of the past; and Nick Dole reports live from the thick of things – at a local London street party. Live crosses to Lisa Millar and James Glenday will give viewers a sense of the excitement as anticipation builds in the crowd at Windsor Castle. Join Annabel and Jeremy for the live broadcast of the Royal Wedding ceremony from St George’s Chapel in the grounds of Windsor Castle. This special ABC broadcast concludes with live coverage of the newlywed’s carriage procession through the streets of Windsor. Royal Wedding: Prince Harry and Meghan Markle will air live around Australia on Saturday 19 May on ABC, simulcast on ABC NEWS and live streamed on ABC iview. Live on ABC from 7.30pm ACST and live on ABC NEWS and live streamed on ABC iview from 7.00pm ACST. Live on ABC NEWS and live streamed on ABC iview from 5.30pm AWST. ABC main channel will broadcast live from 7:00pm AWST. ABC NEWS can be seen at 6:30pm local time in WA. Saturday, May 19, at 7.00pm Harry & Meghan – The Royal Wedding begins. Presented by Georgie Gardner and Karl Stefanovic, this special event will capture all the colour and emotion of the wedding ceremony from key locations across Windsor and London. Our unrivalled team of reporters include Allison Langdon, Lizzie Pearl, Laura Turner, Michael Best and Seb Costello. Our unparalleled group of Royal insiders will take viewers into the inner sanctum of the world’s most famous family. Among them are Camilla Tominey, Royal Editor of the UK’s Sunday Express; Dickie Arbiter, former press secretary to Her Majesty The Queen and media manager for Prince Charles and Princess Diana; and esteemed Royal photographer Arthur Edwards, who has chronicled more than 200 Royal tours across 120 countries in a career spanning more than 40 years. Wherever they are, Nine’s viewers will be able to catch every moment live – on their televisions, mobiles, and streamed live on 9Now, with round-the-clock updates in 9News.com.au and all the gossip that will place 9Honey royal-lovers right in the centre of the action. Get your friends together and watch history being made when Prince Harry marries his Hollywood princess, Meghan Markle – on Nine, your home for the Royal Wedding. You’re invited to the royal wedding of the year! Coverage of the royal wedding will air live on Saturday 19 May from 7.30pm AEST on SBS and SBS On Demand. Breaking social, cultural and racial barriers: what does the royal wedding mean to a modern Australia? SBS presents live coverage from a different perspective. SBS cordially invites you to celebrate the matrimony of His Royal Highness Prince Henry of Wales and Ms. Meghan Markle, at Windsor Castle in England, live on Saturday, 19 May from 7.30pm AEST on SBS and SBS On Demand. 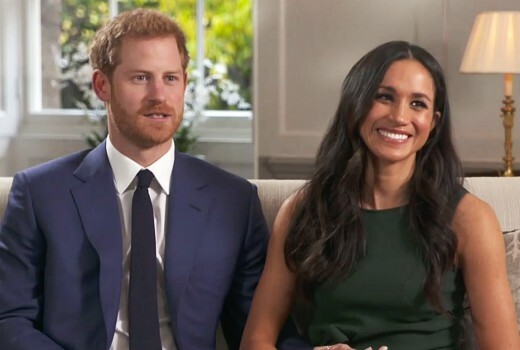 Marshall Heald, Director of TV and Online Content, SBS, said: “SBS will provide a unique broadcast of what is undoubtedly one of the biggest royal weddings of our era. It will be warm, funny and intelligent, whilst examining issues this wedding raises, including cross-cultural marriages, the republican debate and what these issues mean for Australians. Fresh from Eurovision, TV and radio presenter Myf Warhurst and comedian Joel Creasey will team up with legendary journalist Ray Martin at SBS Artarmon HQ for RoyalWedding Live. It has been reported that Prince Harry and Meghan Markle started dating in 2016 – and the couple have been creating headlines ever since. Their relationship has broken social, cultural and racial barriers – busting traditional norms of the British Monarchy and creating worldwide interest and conversation. Filmed in front of a live studio audience, SBS’s Royal Wedding Live will begin at 7.30pm AEST and will include the big event itself. Hosts Myf, Joel and Ray will talk to a diverse line-up of guests to discuss what this wedding means to a modern, multicultural Australia. The panel will speak about a range of topical issues, plus they’ll chat to a royalist and republican about Monarchies across other continents and how they all stack up against the British. The trio will also delve into the royal wedding fashion including the bride’s gown and how it compares to other countries’ royal traditions. With packages from The Feed’s Jan Fran, as well as SBS News European correspondent Ben Lewis reporting live from Windsor, SBS will provide distinctive coverage of this milestone global event that is steeped in tradition. Audiences at home will also be encouraged to have their say with live social television throughout the broadcast using the hashtag #royalwedding. ‘Royal Wedding Live’ will air live Saturday, 19 May from 7.30pm AEST on SBS and SBS On Demand. ‘Royal Wedding Live’ is produced for SBS by Blink TV. Get your fascinators and flags ready and switch on UKTV for the BBC’s live, uninterrupted coverage of the Royal wedding of HRH Prince Harry and Meghan Markle. 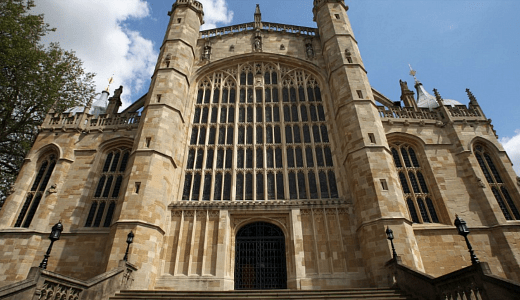 The couple will exchange vows at 9pm (AEST) Saturday May 19 at St George’s Chapel, Windsor Castle with The Archbishop of Canterbury to officiate as the couple make their marriage vows. Following the service, a Carriage Procession will commence at 10pm (AEST) from St Georges Chapel through Windsor Town returning to Windsor Castle via the Long Walk. UKTV will show the BBC’s main Royal wedding programme of the marriage itself and the Carriage Procession, with live coverage before and after. Exact timings TBC. Live from Windsor, CNN’s team of anchors, correspondents and contributors will cover the much-anticipated Royal Wedding of Prince Harry and Meghan Markle beginning at 18:00 AEST on May 19th. Coverage will include guest arrivals and fashion, as well as the ceremonial traditions from the historic Windsor Castle and St. George’s Chapel. CNN’s special live programming of the wedding will be anchored by Anderson Cooper, Alisyn Camerota and Don Lemon along with CNN’s Royal correspondent Max Foster, CNNI anchor Richard Quest, senior international correspondent Clarissa Ward and fashion expert Joe Zee. Rounding out the team will be CNN Royal commentators Victoria Arbiter and Kate Williams, culture commentator Bonnie Greer, CNN contributor and author Sally Bedell Smith, Prince Harry biographer Angela Levin and Boston University dean and Megan Markle’s former theater professor at Northwestern University, Dr. Harvey Young. Reporting throughout the day from various locations and events around Windsor, will be CNN reporters Kate Bennett, Jason Carroll, Bianca Nobilo, Isa Soares and Nick Watt. CNN’s royal wedding day coverage will follow the procession as it makes its way to the castle along the riverbank with multiple views of St. George’s Chapel and will be simulcast across CNN/U.S., CNN International and HLN Headline News. Sky News will also provide a multi-platform digital experience including insights, analysis, highlights and video updates at skynews.com.au/royalwedding. If you can’t watch LIVE on Saturday night, or you can’t get enough of a royal wedding, A-PAC, Australia’s Public Affairs Channel on Channel 648, will show the event in full all day Sunday. E! Live From the Royal Wedding – the network’s unparalleled and unpredictable five-hour wedding coverage – hosted by pop culture expert Giuliana Rancic, celebrity fashion stylist Brad Goreski, royal expert E! News Chief Correspondent Melanie Bromley, and E! UK TV host Sarah-Jane Crawford. E! Royal Wedding Rundown, E!’s coverage continues with an hour-long recap special of the historic event. So ch 10 isn’t even showing the wedding. Why did they even bother sending Lisa & Angela Bishop over there? What will they be doing? And Sunrise brags that they are the only network allowed to broadcast from within Windsor Castle but Today Show didn’t. Why do they get to do that? Doesn’t seem fair. SBS coverage is scheduled until 11pm and Joel is doing live stand-up at the Enmore Theatre on Saturday night at 9:30pm. He’s either finishing up really early at SBS or starting really late at the Enmore….